Barbara L. Schmidt, 83, of Fremont, OH passed away on Wednesday, August 1, 2018 at ProMedica Memorial Hospital. She was born on May 6, 1935 in Fremont to Ambrose B. and Henrietta C. (Partee) Gabel. 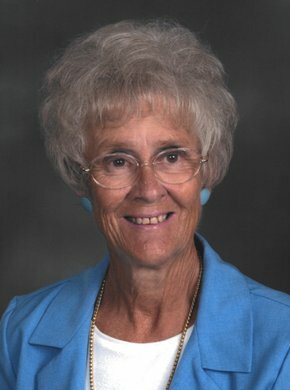 She was a 1953 graduate of St. Joseph High School. Barbara married Richard J. Schmidt on June 25, 1955 at St. Joseph Catholic Church and he preceded her in death on September 4, 2002. Barbara was a homemaker. She was member of Sacred Heart Catholic Church where she was very active and a member of the Altar Rosary Society. Barbara was a Sacred Heart School Cafeteria worker for forty-five years and volunteered at many different events with the church all her life. She was also a Camp Fire Leader. Barbara enjoyed baking, gardening and being outdoors. She was an avid Cleveland and Notre Dame sports fan. Barbara is survived by her children, Gregory (Cheryl) Schmidt, Oak Harbor, OH, Therese (Tracy) Colston, Port Clinton, OH, Juliana (Gregory) Dorr, Smithville, MO, Geoffrey Schmidt and Matthew Schmidt both of Fremont, OH, Christina (Perry) Eads, Concord, NC, Deanna (Fred) Perez, Winston-Salem, NC, Michele (Jay) Leonard, Toledo, OH, Richard (Venice) Schmidt II, Norwalk, OH, Elizabeth (Read) Schalmo, Riga, MI; sisters, SR Mary Bryan Gabel, Waterville, OH, Mary Jane Schroeder, Olmstead Falls, OH; twenty-two grandchildren and eighteen great grandchildren. She was preceded in death by her parents; husband Richard J. Schmidt; son-in-law, Kevin West. Visitation: Friday from 2 – 4 pm and 6 – 8 pm, with a rosary service at 7:30 pm at Wonderly Horvath Hanes Funeral Home and Crematory, 425 E. State St, Fremont, OH. Mass of Christian Burial: Saturday, August 4, 2018, 10:00 am with an hour of visitation prior to the service at Sacred Heart Catholic Church, 550 Smith Rd, Fremont, with Fr. Chris Kardzis officiating. Memorials can be made to Bishop Hoffman Catholic Schools or Sacred Heart Church. So sorry to hear this sad news. Love and prayers to all. Keep all the special memories you have close to your hearts forever. Heaven has earned another angel with your mom. So sorry to hear about your mother. Do know that you are in our prayers. Sending lots of love & hugs. Our hearts are with you and your family during this time of great loss. The beautiful soul that she has graced you all with in her presence does live on in each of you. Love and peace be with you. It was an honor and privilege to serve your mother in her home. I enjoyed our conversations, and watching the Indians with her. She will always have a special place in my heart.Your family is in my prayers. She had such a love and pride for all of you her children and her grandchildren. You are all in my prayers daily! Your mom was always so happy and kind to me when I was in her home. She was an angel on earth. Keep her very close in your memories. Much love to all of you! On behalf of all those who worked with your mother over the past six years, we have each been blessed and touched by knowing your mother. She was a strong yet gentle woman and while never short on her opinions she was also quick with her wit and her laughter. I remember her telling me once she “didn’t care nothing about them cell phones, texting or email; if my kids or grandkids want to tell me something they just need to pick up the phone and call me.” She loved her sports especially her Notre Dame football and Cleveland Indians baseball. She was a woman of faith and loved her Tuesday trips out with her friends but yet she was the first to say when it was time to stop because it was too hard on her friends to help her get around. When we trained new CAREGivers we used Barb in so many examples and stories and everyone wanted to meet her. My trips to Fremont will not be the same with out opportunities to bring Barb a little treat she would tuck away to eat over the course of a week. May God Bless her with eternal life and hold her family in the palm of his hand as they celebrate her life and grieve her passing. So wish I was with you all today. It’s hard being so far reminiscing on all the treasured memories from years past. Know that I love each of you and will keep you all in my prayers in the days ahead as you begin to navigate days without your Mom. The video is beautiful and while the tears pour out, how lovely to see the beautiful life and legacy. Ours sincerest condolences. few more would show up. She was a pleasure to know.